That being said, I hope you enjoy the film! X-23 TEARS HER WAY THROUGH A NEW FAN FILM SERIES! Greetings Fan Film Fans! I have a special treat for you all today..Mr. Terrel Culbert, the man behind the X-23 Fan Film series, has been nice enough to share some promo pics from his Merry Marvel Fan Film with FBT, and all of You! Hope you enjoy them 🙂 Be sure to check out Terrel’s X-23 films by clicking HERE. Mr. Culbert will be joining Christopher Moshier (The Fan Film Follies),and Myself, on an upcoming episode of The Fan Film Podcast! Stay tuned for the official show posting..
TERREL CULBERT TALKS X-23 ON THE FFP! 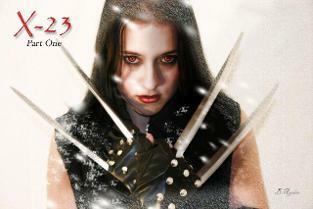 So Fanboy Will tells me of this fan film called X-23 Terrell Culbert. What the hell is an X-23? More importantly what the hell is a Terrell Culbert? Using my keen research skills I turn to the inter oracle known as THE GOOGLE. A top-secret program is tasked to replicate the original Weapon X experiment that produced the feral mutant Wolverine. The Y chromosome from the only genetic sample from Weapon X is unable to be salvaged. So a female clone is proposed in the form of X-23. X-23 was created for the X-Men: Evolution animated television series and later brought into the comics pretty much how Harley Quinn from the Batman mythos did a decade or more ago. OK! That answers that. Now who is this Culbert guy? 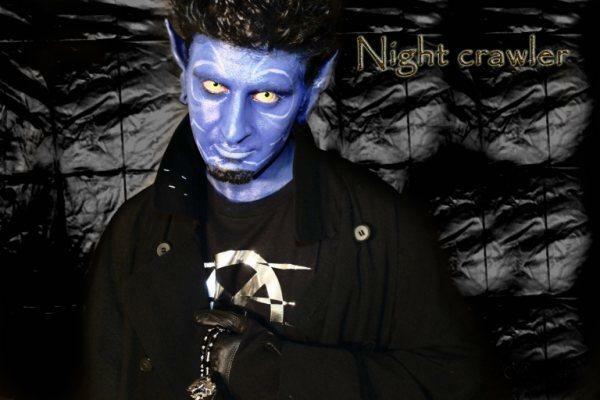 The oracle tells us Terrell is a prolific talent who writes, draws, and makes fan films. I mean, if he didn’t make fan films I wouldn’t even be writing this, but I digress. Terrell runs his own imprint and productions under the label Breathe Again Entertainment. Along with his “X” related fan film his original character sEVE is being produced in comic book form and soon to the visual realm of film. Also in this Fan Film Podcast, Fanboy Will sums up our feelings and thoughts beautifully on the passing of Andrew Koenig who took his own life this past week. Most of you may know Andrew from his portrayal of the Joker in Sandy Collora’s Batman: Dead End. Although, certainly not an embodiment of his entire life of work, this is a performance that will have a special place here in the confines of the Fan Film Podcast. R.I.P. Andrew.